Shaina is fueled by turning visions into reality. When the idea for Moon + Leaf struck like lightning in January of 2017, it was a mere month before prototypes were developed and focus groups were in full swing. Shaina’s vision for Moon + Leaf is to create a cultural shift in women’s relationships to their bodies to one of self-love and respect. She is committed not only to spreading this message through the brand but also by embedding this philosophy in how the business itself is built and run. Alexis is a flowchart loving mavHERick obsessed with finding and creating organizational efficiencies. She brings over 10 years of experience in Operations Management from the land of Environmental Philanthropy as well as the Beauty and Wine industries. 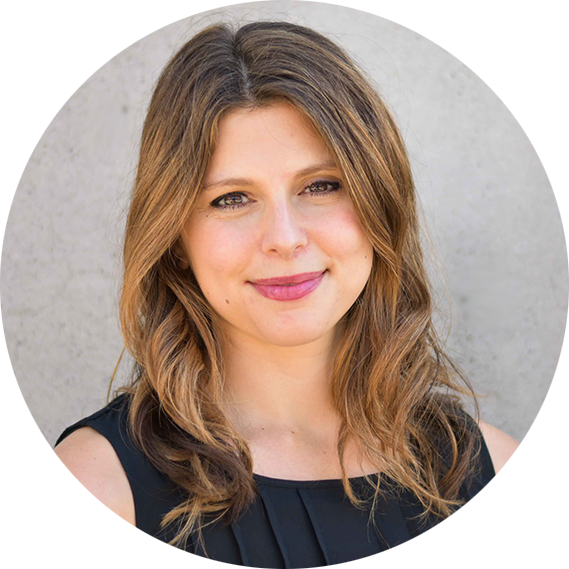 When not digging into the day-to-day, Alexis can be found making her own health and beauty products, watching ballet in The Bay or all over the globe, and always voraciously consuming books of all kinds...and watching reruns of Buffy the Vampire Slayer. Sumeet is an artist and designer. As a teenager, he was apprenticed to a renowned sculptor, a period that changed his life. He has experience designing for art museums, fashion lines, tech products, non fiction books, novels and more. Sumeet was inspired by the vision for Moon+Leaf as it questioned his role in modern society. Our beliefs define our actions. We understand the interconnectedness of all living things and use the highest quality, organic ingredients whenever possible because we are deeply committed to the health of your body and to the health of our planet (not that they are separate, but ya know). Our high quality products are verified by a certified herbalist and tested for maximum effectiveness. Your vitality is our top priority. Here is a bit about my journey and why I created Moon + Leaf. I spent 10 years climbing the career ladder, from a high tech company, to a big consulting firm, to getting my MBA, then to working for the non-profit of my dreams, traveling the world. But at every job, whether it was mission-driven or not, no matter the accolades or levels of success, my body would start to fritz out. Culturally, we use the term “burn-out” but this felt so much deeper than that. I would get constant colds, migraines, heart palpitations in the night. My tear ducts stopped working causing constant eye irritation. Digestive problems. Tendonitis in my left arm. All of this while avidly practicing yoga and eating super healthy! And honestly, a few months before I quit each job, I would stop getting my period. It was telling me that life was not supposed to feel like an endless, white-knuckled marathon. That we are here to experience joy, creativity, passion, fulfillment. My body was desperately trying to send me the message that I didn’t want to hear because it was too scary. Because it meant that I would have to leave everything that I knew. I would have to leave the security of a steady paycheck and the sense of self-worth that I attached to work. The voice was saying that it is my job to create this better way. To create the reality that my soul is so desperately wanting to live in. This was the inception of Moon + Leaf. It is time for women to choose to love, honor, and listen to our bodies. Creating a ritualistic pause to connect with our bodies. Providing the opportunity to choose self-love. What if instead of fighting against our bodies, we befriended them? What if our periods weren’t shameful and hidden but an ally that connects us to our health and creative power? This is the world I am interested in creating. And I hope that you, sister, are down to join me. Products contain less than 0.3% THC and are legal in all 50 states. Representations regarding the efficacy and safety of Moon + Leaf have not been evaluated by the Food and Drug Administration. The FDA only evaluates foods and drugs, not supplements like this products. This product is not intended to diagnose, prevent, treat, or cure any disease. Click here, here, and here for research describing the benefits, performance, and efficacy of CBD based on the expertise of relevant professionals.